For anyone still using the Field Trip app from Google’s Niantic Labs, you can grab the newest update to hit Google Play. 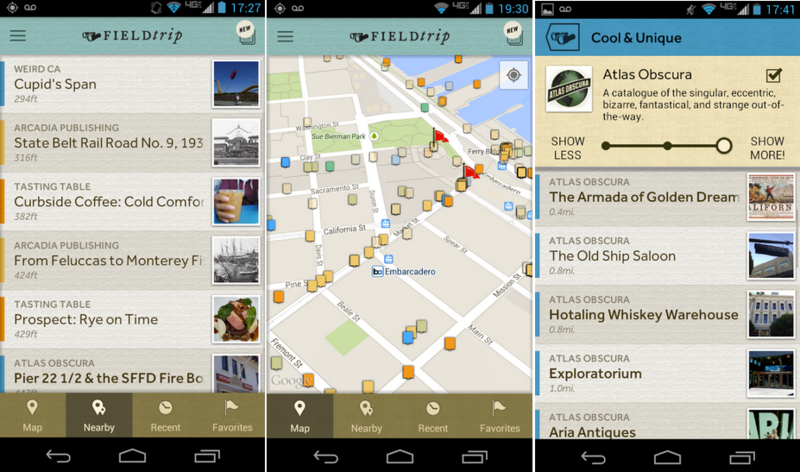 Field Trip is an app that uses your current location to show you points of interest in a very in-depth and creative way. Think of it as Google Now, but much more detailed in terms of information about any given place it lists. The app looks to have been completely polished up, and from the time we’ve spent with it, we think they did a great job. Other than the overall look, they also added in the ability to select key interests you like, that way the app shows you only relevant places and information. If you have never tried the app, go give it a shot. Preview publisher content and get a glimpse of what each publisher offers. Access the nearby, recent, favorite, and map tabs via the new bottom bar. Swipe cards up or down to browse to the next or previous card. Important settings are simplified and easily accessible in the left drawer.